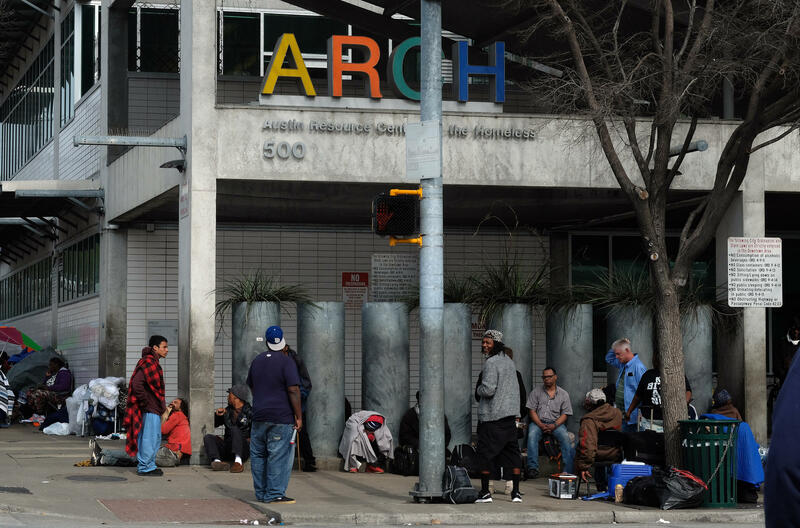 Caritas of Austin offers free meals to people on a walk-in basis, but starting Tuesday, Caritas will move its food services across the street to the ARCH. People who are not staying at the shelter or are not enrolled in the group's services will not be served. Instead, they'll be given information on where to get food elsewhere. The Salvation Army, which provides a similar walk-in community meal in downtown, will be taking the same approach, thought the group is expanding its lunch services. Service providers hope the new strategy will cut down on the crowds around the corner of Seventh and Neches streets near the ARCH and encourage more people to enroll in their programs. “We want our clients to be safe, and we want them to know that we care about them, and we need them to come in for help wherever they are going to access services,” said Ann Howard, executive director of ECHO, the Ending Community Homelessness Coalition. “And right now, that area is not safe for clients, and that trickles out to the business community and the residents downtown,” she said. The short-term goal, Howard said, is to disrupt the environment that’s led to drug-related crime around the ARCH. Service providers will increase their presence on the scene, working to connect people with resources and get them on the track to permanent housing. Austin police will also be on the scene to help with the transition. Justin Newsom, an assistant chief with APD, said two officers will be outside the ARCH 24 hours a day for the next 30 days. He says APD will conduct targeted operations, working to arrest as many drug dealers as possible around the area. The goal of the increased enforcement, Newsom said, is not to criminalize homelessness or arrest people who are in need of help, but to protect service providers as they roll out the change. “There’s a good likelihood that people who are used to a certain way are not going to be pleased by this, and it just could lead to more aggressive behavior by those who are hungry and need to eat,” he said. The nonprofits, faith-based groups and the city will also try to spruce up the area by adding more lighting, installing temporary restrooms and increasing efforts to clean the streets. The pilot program is set to run for 30 days.